The Laxgiik Convocation Robe is an immersive installation, performance, and print of an original design based on Northwest coast Indigenous Chilkat blankets. The blanket refers to the potlatch, a gift-giving feast practiced by Indigenous peoples of the Pacific Northwest Coast. 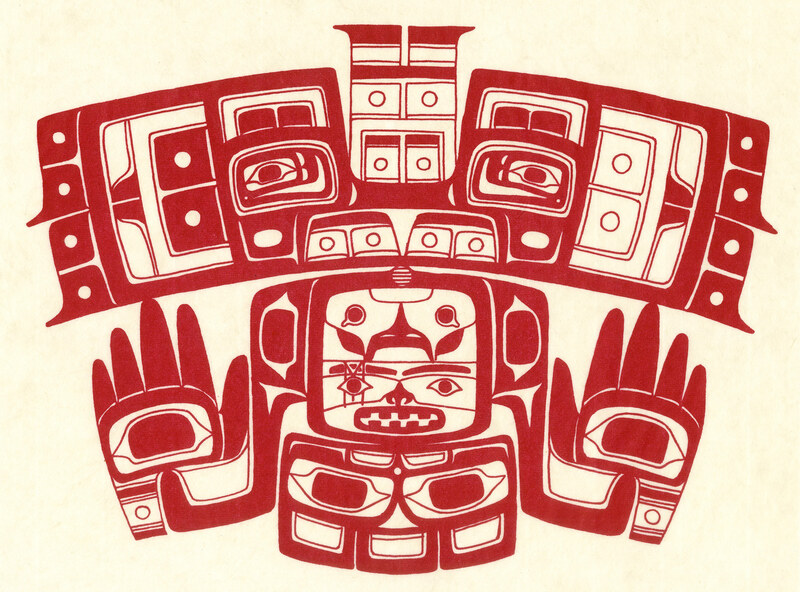 On some occasions of the event, Chilkat blankets were cut into pieces and given away to be treasured or incorporated into new forms of regalia. The Laxgiik Convocation Robe was produced with Luke Parnell (Haida/ Nisga’a) at Working Title Press (WTP), a project-driven, active studio residency in OCADU’s Printmaking and Publications departments, where artists work alongside faculty members and students to produce print editions, artist’s publications and multiples. 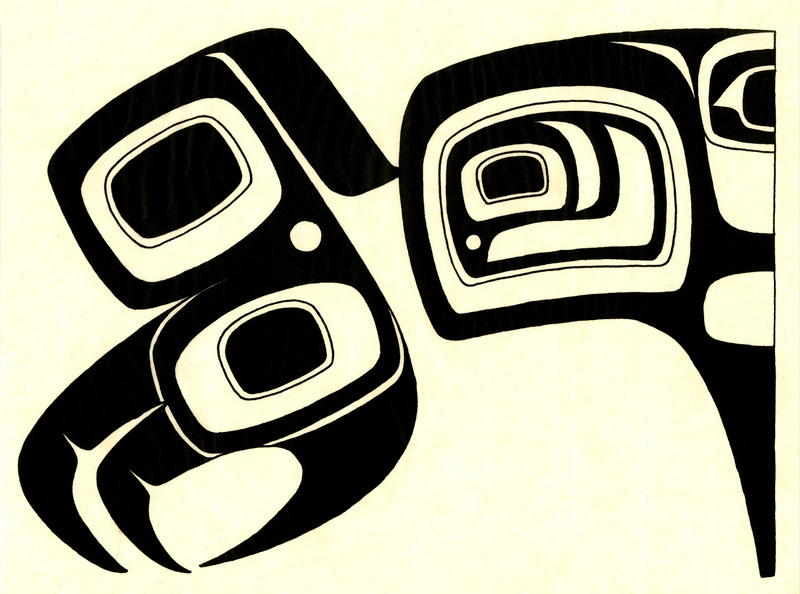 Each of Parnell’s images created in the residency come together to form a Chilkat blanket; during a live performance gallery visitors participate in tearing their prints from the larger installation. The prints are available for purchase. Parnell donates half the proceeds from this work to the Printmaking, Publications, Sculpture/ Installation and the Indigenous Visual Culture programs at OCAD University and half to supporting Open Studio’s programming. This work highlights the process-based experience central to his time with WTP and foregrounds the collaborative methodologies prominent in the studio. By combining print media and performance to replicate the gift-giving actions found in the potlatch ceremony, Parnell engages visitors to actively take part in this sharing of Indigenous knowledge and culture.